We walked about the house in silence, dear heart, looking for you in the rooms you loved to settle in. We looked out the window expecting to see you there, in the yard outside. And our impulse was to walk to another window to get a better view of your secret garden, where you could not be seen unless you desired to be, and only then your presence confirmed by a patch of black or white behind the greenery, or the amber of your eyes warily watching us for signs that perhaps a walkie was imminent. It all felt so empty then, my darling, because you were no longer there. We never questioned the inevitability of your absence, but so too we never thought the day would come when you wouldn’t be there. We were a family. You were our child. You were the center of our lives. Oh, and those paths we walked every day with you by our sides. No, that isn’t the way it was at all. You always led, and we trailed behind. It was your walkie, your adventure. We were just there as spectators as you explored the daily news left by your friends and adversaries. It was our job to hold you back when an interloper crossed your path because you were the queen of the world, the sovereign of your realm. You worked hard for your title. We knew this about you. 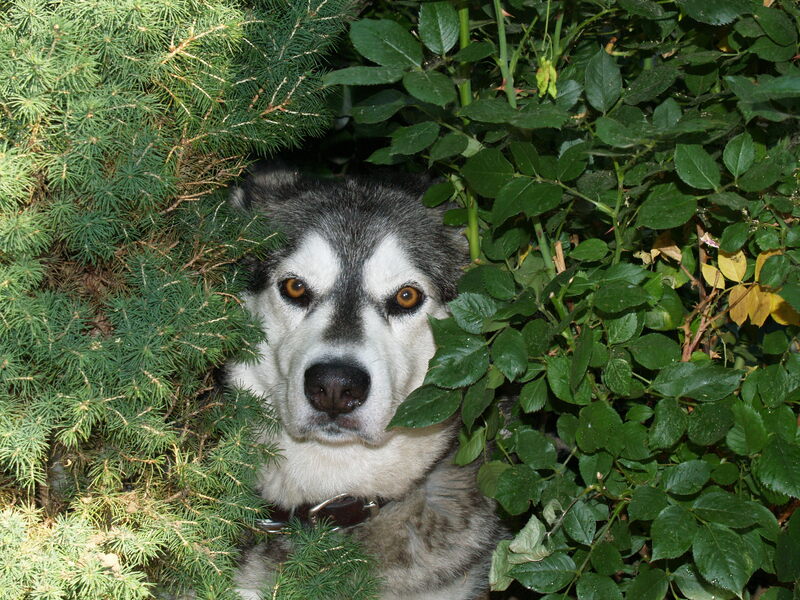 You were a native Alaskan Malamute, raised by a military family in that spectacular place that David and I have only seen in pictures, and on TV. That family had to give you up, and you found a new home with another military family with whom you moved toColorado Springs. 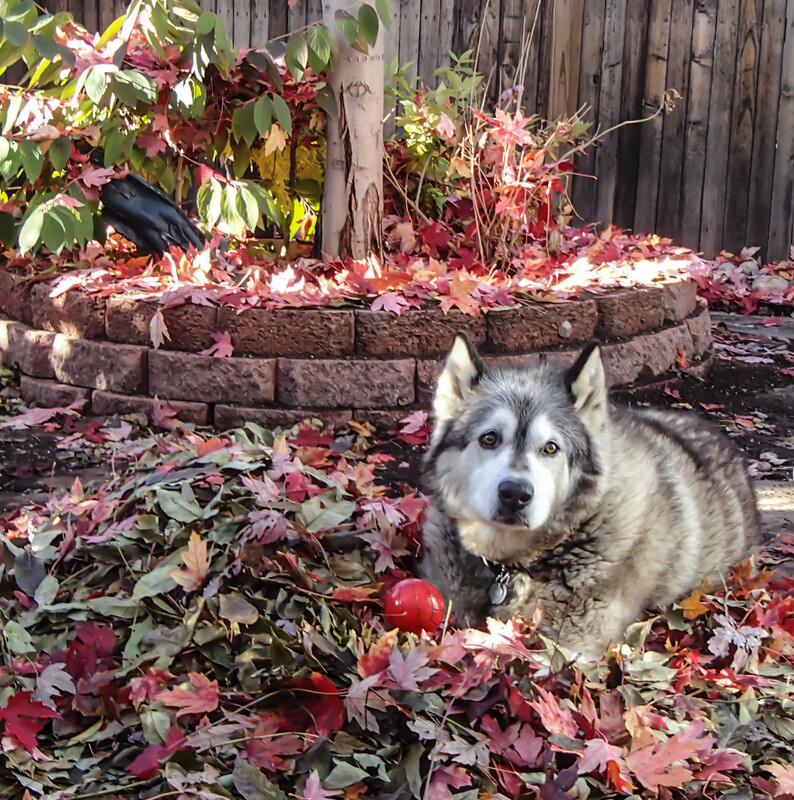 When the father of that family was deployed to Iraq, the mother could no longer care for you and her infant, and you were given to the Polaris Alaskan Malamute Rescue group in Golden, Colorado. All of this during the first six years of your life. And, oh, Sarah, I do not doubt for a moment that you were as dearly loved by those families as you were by us. 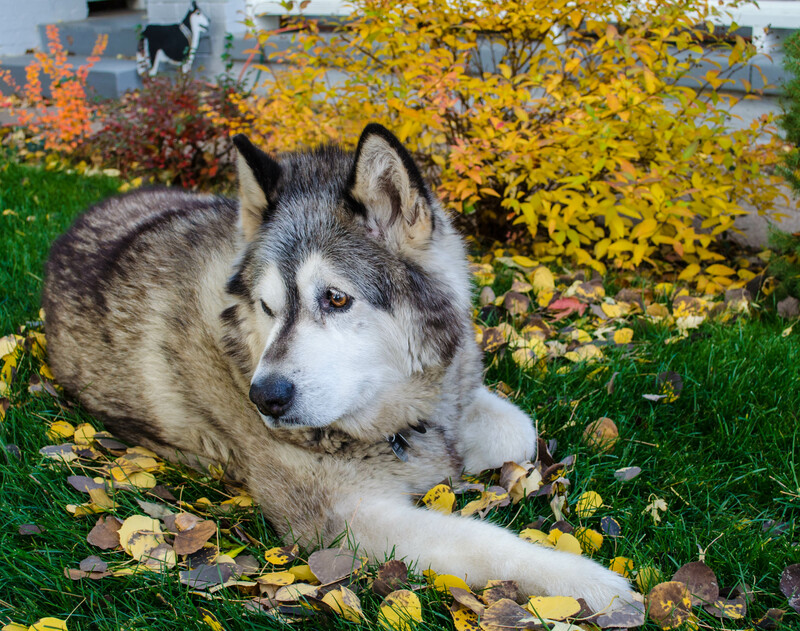 When we let our Sweet Melissa go—you never knew her, but she was another indomitable Malamute whom we raised from a puppy, and said good-bye to when she was fourteen—the certainty that our lives would not be complete without another child, another Malamute to share our days with, we found you, Sarah, awaiting a forever home. We never considered that nothing in life is truly forever. And the rest, as they say, is history. For seven years, you centered us. For seven years, our little family trudged the things that families do believing that nothing much that life could throw at us would matter because we were together, always, day after day, our routines from one moment to the next performed with the love we shared for one another. We never thought much about the inevitability of the ends of things. I’ve waited to write this, Sarah, thinking that my sorrow would be eased somehow by time; that my sight would not blur from tears if only I waited long enough to write to you. I was wrong, dear heart. This spring David and I will plant a tree or perhaps a flowering bush in your yard, and place at the bottom of it the paltry leavings of your mortal body. We will do this only because it seems right—a gesture to your memory. Please know, though, that our memories of you, the precious things that reside in our hearts are visited each time we take a breath, each time we see the places you used to be, each time we affirm that someday we will be together again. We loved you then, and ever shall. This entry was posted in Critters, Dog/Animal Rescue Shelters, Sarah, Scribbles. Bookmark the permalink.